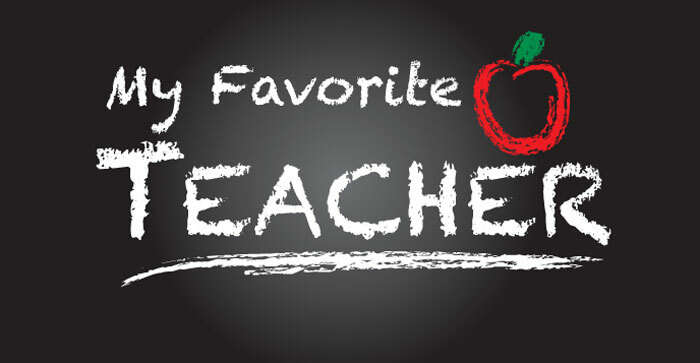 Favorite Teacher Paragraph: There are many teachers in every school/college. All of them are very good. But among them I like one very much. He is none other than my English teacher. His name is Vin Diesel. He is an MA in English Literature. He presents his lessons in a different method in which the interaction between the teacher and the students is encouraged. He always encourages the weaker students to take part in the classroom activities so that they can develop their speaking skill. He behaves very beautiful and mildly with the students. He is very friendly with us. He never rebukes or punishes anybody for their mistakes. Of course he is interested in co-curricular activities. Usually he organizes the yearly cultural week of our school/college. He also plays vital role in the other extra-curricular activities. He has an amiable disposition and charming personality which make every student respect him. John Smith is my favorite teacher. He teaches us English. He is 30 with a good health. He has many rares qualities. First of all he is a brilliant scholar with a sound academic career. He is an M.A in English. Secondly his method of teaching is very easy and lucid. Thirdly he has a strong, clear and pleasant voice. Everyday he teaches us in a new style. He can make any grammatical problem easy. He knows well how to increase curiosity of the students. In the classroom is just like an English. Moreover, his pronunciation is good and he speaks English with a foreign accent. In his class he creates a English environment.We never feel boring in his class. Rather we feel encouraged in his class.He is very well behaved and co-operative. He is never rude but friendly with his students. IF any student fails to understand any grammatical problem, he then and there helps the students to understand it. He is very kind hearted to the poor students. Besides, he is honest, sincere and dutiful. He is very strict to law and to his principles. He has left a permanent impression in my mind. He is my best teacher,guide and friend.